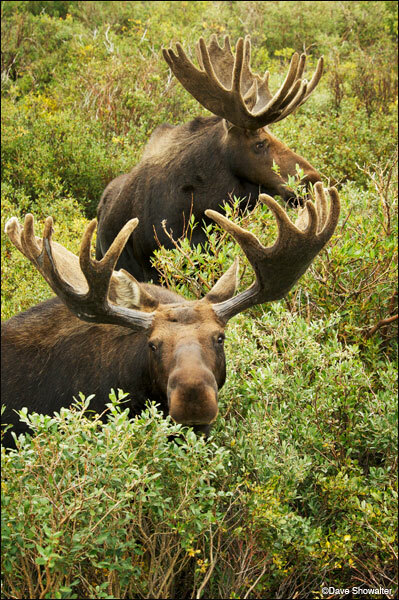 A pair of large bull moose feed on willows, their favorite food source. Moose have long favored the wetter west side of the Rockies, but some have recently migrated to the eastern side of the Front Range. I observed six bull moose in a bachelor group this August morning. Photo © copyright by Dave Showalter.